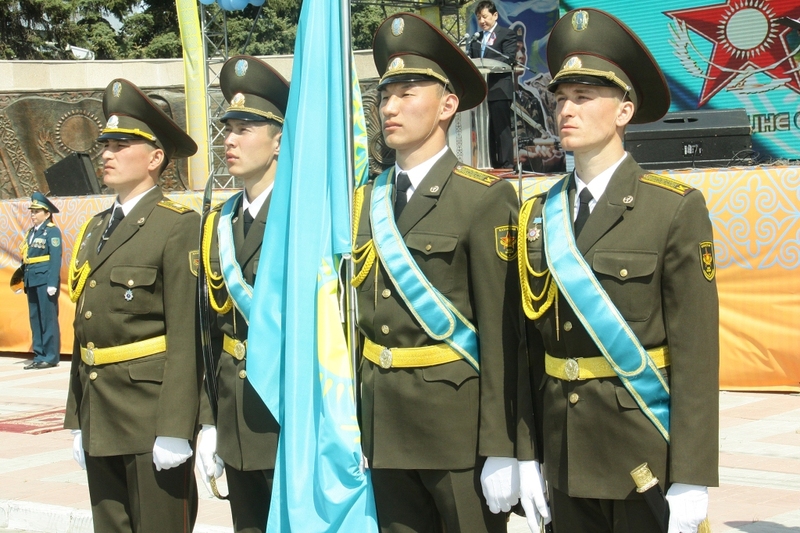 Directly on May 7 and 9, and also on May 8 the military personnel of Military institute took active part in the festive events held in the city of Petropavlovsk under patronage of akimat of the North Kazakhstan area. In Day of the Batyr cadets provided a ceremony of flower-laying and wreaths to a monument to the 314th shooting division and Memorial Karasay and Agyntay to batyrs on Theatre Square. The first course was also exposed by two «boxes» in 146 people for the improvised parade. 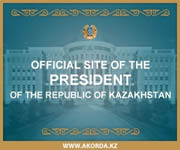 On the square where there are state symbols of the Republic of Kazakhstan addressed veterans of war and the numerous audience the company of drummers made of cadets of 2nd course and carabineers from 3rd course. 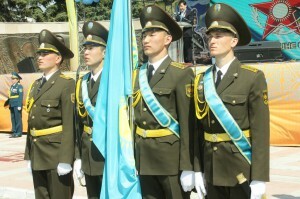 Also with demonstration performances participated the group of a special purpose from among first-year students and a military orchestra of Military institute which sang such songs of military years as «Victory Day», «Victory», «At anonymous height», «At way», «Bauyrzhan-batyr», «Dark-complexioned girl». And it apart from the arms exposed for review and equipment, including BTR-80 in which for excursion children and adults came and came a never-ending stream. After all the military already got used to this type of transport, and it was very interesting to civil people to examine such military vehicle, especially, when opportunity to see it from within, to feel so, to tell a gunpowder smell is given. 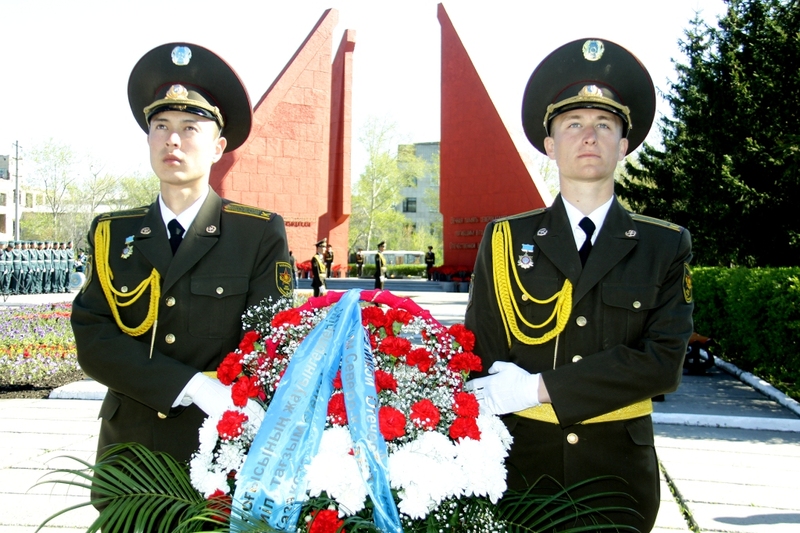 On May 8 to a glory Obelisk in the Park of Culture and rest cadets of our institute assigned a flowers basket from Akim of the North Kazakhstan area. On May 9 at the memorial complex «Eternal flame» solemn meeting took place. On meeting there were veterans of the Great Patriotic War, some of them, and also children and grandsons of other veterans took part in the movement «Immortal Regiment» – bore the portraits or the fathers, grandfathers who were at war in the bloodiest war in the history of mankind. In action at theater of N. Pogodin the Military institute of National Guard of the Republic of Kazakhstan exposed for a smart system two «boxes» in 150 cadets, provided for Akim areas a guard of honor and assignment of a basket, assigned a garland from veterans of the Second World War. Also as well as the Defender of the Fatherland Day played an orchestra of Military institute, besides the providing battalion together with rear service was stretched by two unified tents with a capacity up to 40 people everyone and to try a field kitchen where soldier’s porridge for all comers was cooked. Akim of the North Kazakhstan area Samat Saparbekov who together with veterans of the Great Patriotic War, including with the former commander in m/u 6637th colonel in resignation Vasily Turashev honored with the presence of our tent appeared the most high-ranking taster of soldier’s porridge. 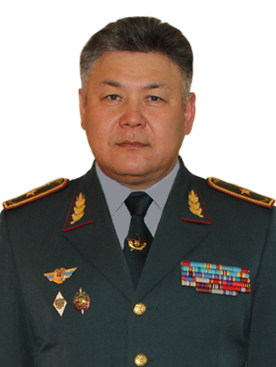 Further the way of Akim followed to Victory Park where military presence was provided by the current commander of military unit 6637th colonel Akikat Zhumakhanov.